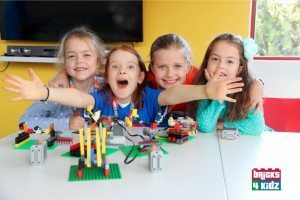 Best Kids Birthday Parties with LEGO® in The Sutherland Shire! 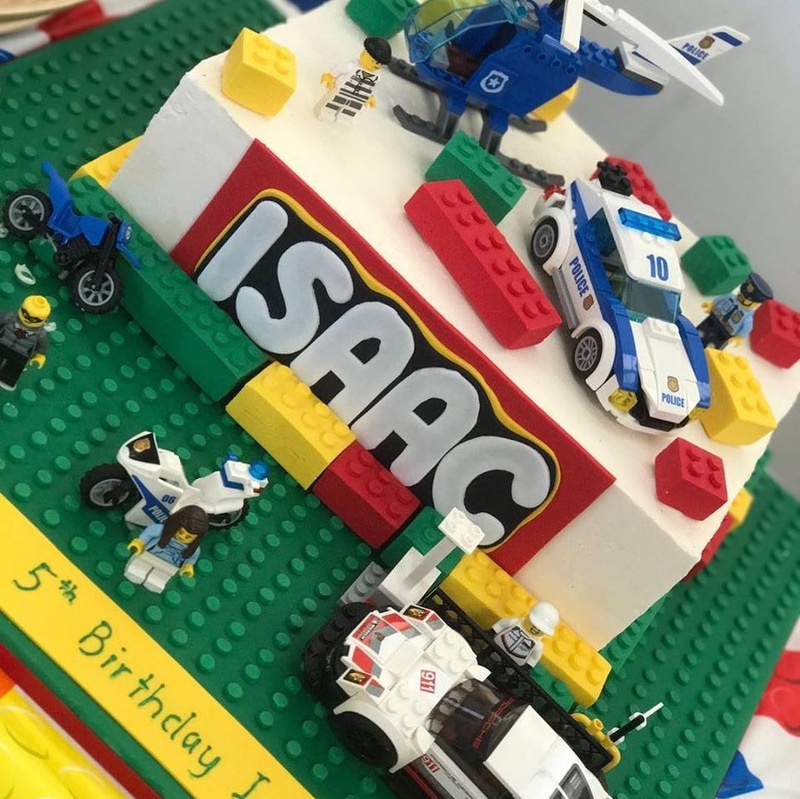 A LEGO® brick building birthday party is the most popular choice in The Sutherland Shire for a fun-filled event your child will ALWAYS remember – and ours are the BEST! BRICKS 4 KIDZ® is the world’s most popular provider of LEGO® themed birthday parties for children – let us bring that experience to your budding birthday builders. The timeless fun of LEGO® Bricks is sure to be a crowd pleaser. We will customise the party so it is perfect for your special birthday boy or girl! Kick off the action with loads of colourful creative-play LEGO® Bricks, then keep the momentum going with LEGO®-based games and activities. Smiling faces, happy voices, and busy hands – these are the sights and sounds of a BRICKS 4 KIDZ® party. FUN & POPULAR Party Themes! Celebrate your child’s birthday with a fun and hassle-free BRICKS 4 KIDZ® party! Choose from THREE Party Packages to match your budget! Always at least two BRICKS 4 KIDZ® Party Hosts, and three hosts for bigger parties! Ask about our discounts for Fridays. Hire of Minifigure Cake Mould ($15 per hire). Click here for images. 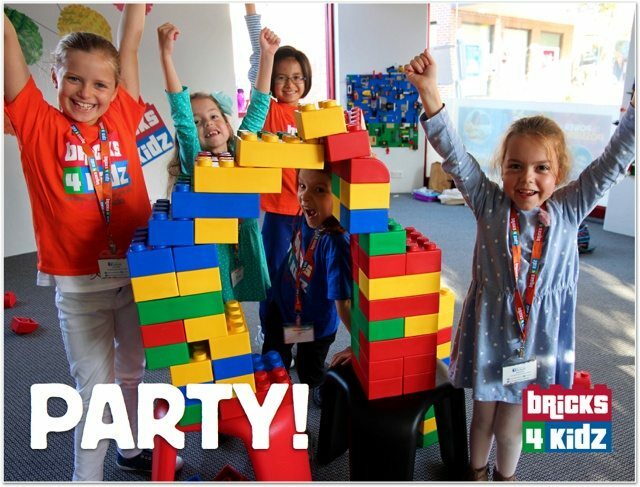 “If your kid is a LEGO fanatic then I recommend Deborah and her team at Bricks4kids for a fun-filled LEGO themed party. Common Questions about our Parties & Events! Super easy. Just send us an email with your requirements and one of our awesome staff members will follow up with you! We’ll discuss your party needs, confirm the time and date with you, and then issue you an invoice for a deposit. Once we’ve received your deposit, your preferred time and date is secured – that’s it! Final numbers and payment will be due one week prior to the party. A non-refundable deposit of $100 is required at the time of booking to secure your date. Where is the Venue? Is there any parking available? We are located at 2A Turriell Bay Rd. There is plenty of parking right outside the venue on Turriell Bay Rd, Lilli Pilli Point Rd and Port Hacking Rd. Click to see a GOOGLE MAP of exactly where we are. What time slots are available for parties and events at the Venue? We can also host parties after school on any day during the week (including Friday afternoons)! We host AWESOME parties for kids from FOUR years old and ABOVE, if all of the guests attending are four or older! Our party activities are not suitable for children under four years of age. Is there a maximum number of kids? We can cater for up to 24 children, although a Party of up to 20 children allows more space for the children to enjoy themselves! Parents are invited to bring in their own cold party food, drinks and cake for the children to share after the party activities! There is a small fridge available (however, the freezer is not large enough to hold ice cream cakes). Please ask us about this when we make your booking. Alternatively, parents are welcome to order and have pizzas delivered to the Centre for the food and cake after the party activities! No alcohol is permitted in the Centre. What sort of party food do you recommend? The list is endless! Sushi, fruit platters, sandwiches, popcorn, biscuits, jelly and chips … Personal lunch boxes are very popular for each child too! How early can we arrive? Can we stay late, after the party ends? The birthday parents may arrive 10 minutes early for setting up, if necessary. Please do not arrive earlier as we will have other classes or parties prior to your party and will also be using this time to complete the set up for your party! Free play with LEGO® Bricks will be provided at the start of the party for the guests as they arrive. It is important to ensure the party ends at the scheduled time as the Centre is booked for other parties or events. Parents are more than welcome to stay for the duration of the party. However with some beautiful coffee shops just over the road why not sit and relax with your friends while your child plays with theirs. Yes. The party games and activities are aimed at the age of the birthday child. If the younger sibling is four years or younger, we ask that the sibling remains under the supervision of their parent. Can parents bring decorations, balloons or a piñata? Yes, of course! The table will be set for the children with a table cloth, plastic plates, cups and napkins. Parents are more than welcome to provide additional table decorations, if desired. If parents wish to organise balloons they are welcome to do so. We ask that the balloons arrive with the parents on the day of the party and that they are weighted down bunched arrangements, to be used as table centrepieces or at the entrance on the front desk. Please note that we do not allow piñatas! Where can I get invitations for my party? Feel free to download our fun and free customisable invitations for your child’s party! Can I have the party at my house instead of the Venue? We can come to your home or venue – please ask about our mobile options! 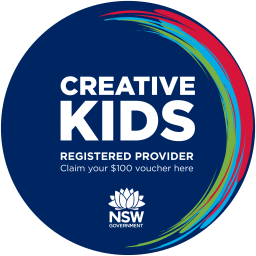 Can you help with Kids' Party Entertainers in other parts of Sydney? Yes! LEGO® Parties are the HOTTEST kids’ party idea in Sydney, and our Party Entertainers are the BEST! Our AWESOME Party Entertainers provide kids’ party entertainment with LEGO® across Sydney, from Cambelltown to Gosford and Bondi to Penrith. Click here for all our Sydney locations. CONTACT US ABOUT AN AWESOME PARTY !! !